Vespa Desk is a mixed media by Benjamin Bullins which was uploaded on January 20th, 2013. This is not your ordinary Receptionist Desk. 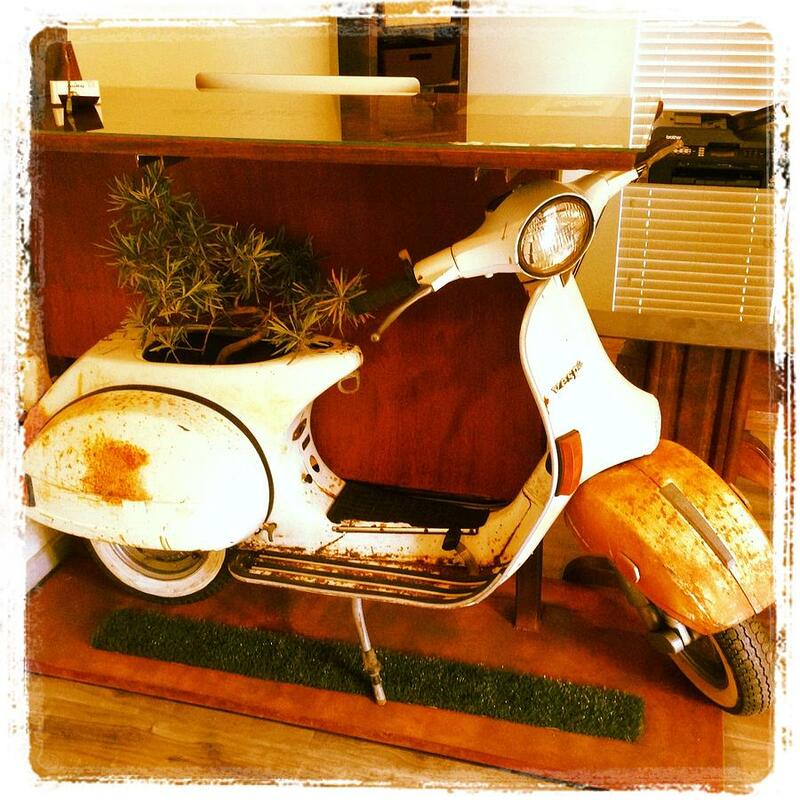 This desk features a vespa bike with the idea of taking the outdoors inside. Materials used: Vintage Vespa scooter, salvaged cypress wood for the top, angle iron, sheet metal with rust patina, synthetic grass, glass, salvaged steel table legs. There are no comments for Vespa Desk. Click here to post the first comment.